Last week, at the Four Seasons resort in Orlando, I attended a meeting organized by a leading logistics service provider for its sales executives. I moderated several workshops and a fireside chat with the attendees. One of the topics that we discussed was customer experience. 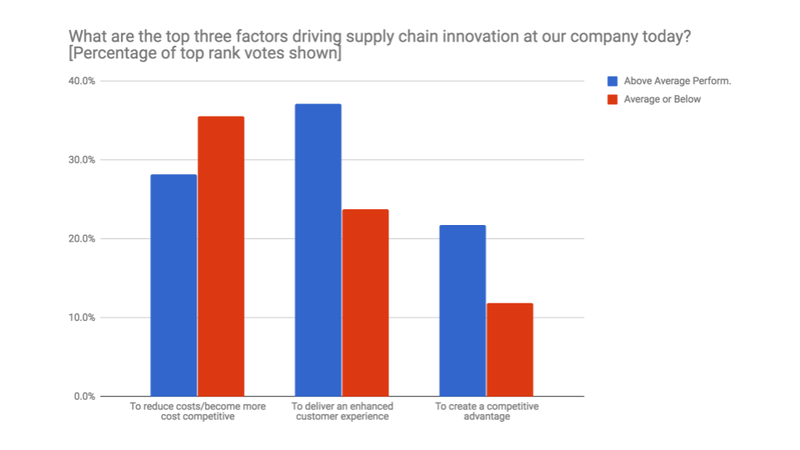 I showed them the chart below from a research study we conducted last March (in partnership with BluJay Solutions, a Talking Logistics sponsor) that shows how “To deliver an enhanced customer experience” is the main driver of innovation at high performance companies, including logistics service providers. If you had to compete on delivering the best customer experience, what would that entail? How would your customers define “best customer experience”? It struck me that many of these comments were really about customer expectations — they define operational excellence, which is what most customers expect when they partner with a logistics service provider. If that’s the case, then how is customer experience different? How do you define it? I saw (actually, experienced) the difference when I returned to my hotel room that evening. If all decent hotels can meet these basic customer expectations, then what separates the Four Seasons from your average hotel? What allows them to charge a premium and rise above the rest? When I went down to the meeting in the morning, I had left the novel I was reading on the nightstand with a scrap piece of paper marking the page because I didn’t have a bookmark. 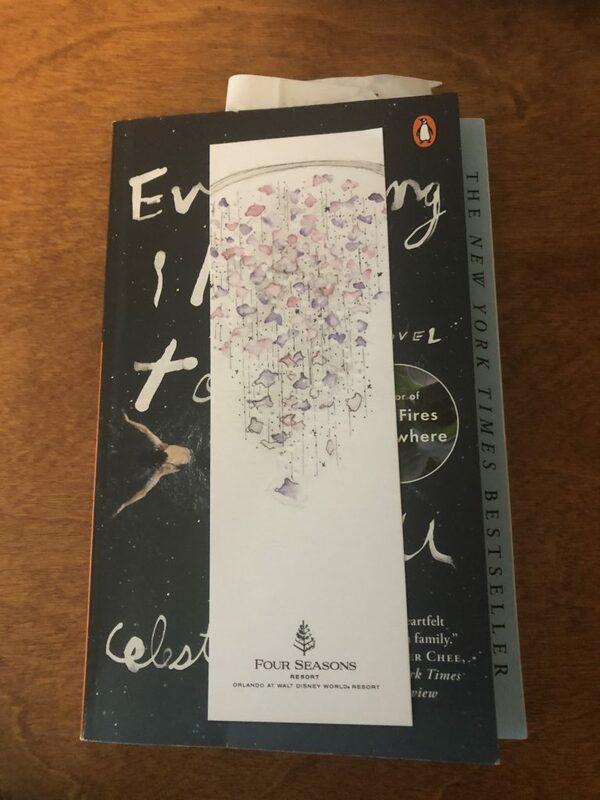 When I returned to the room that evening, there on top of the book, was a Four Seasons bookmark. And next to my laptop computer were two packets of moist wipes to clean my screen, which I hate to admit, hadn’t been cleaned in years. The person who serviced my room noticed opportunities to delight me beyond meeting my basic expectations of making the bed, emptying the trash, replacing the towels, and so on. Customer experience is seeing the missing bookmark and the dirty computer screen and doing something about it without being asked. It is pleasantly surprising the customer in unexpected ways and making them say wow. Bringing it back to logistics, what are the “missing bookmark” opportunities for logistic service providers to go beyond providing operational excellence — to delight their customers and differentiate themselves from the competition? I will share my thoughts in a future post, but I would love to hear yours. Post a comment and share your perspective on what defines customer experience in the logistics industry and how it is different from customer expectations.